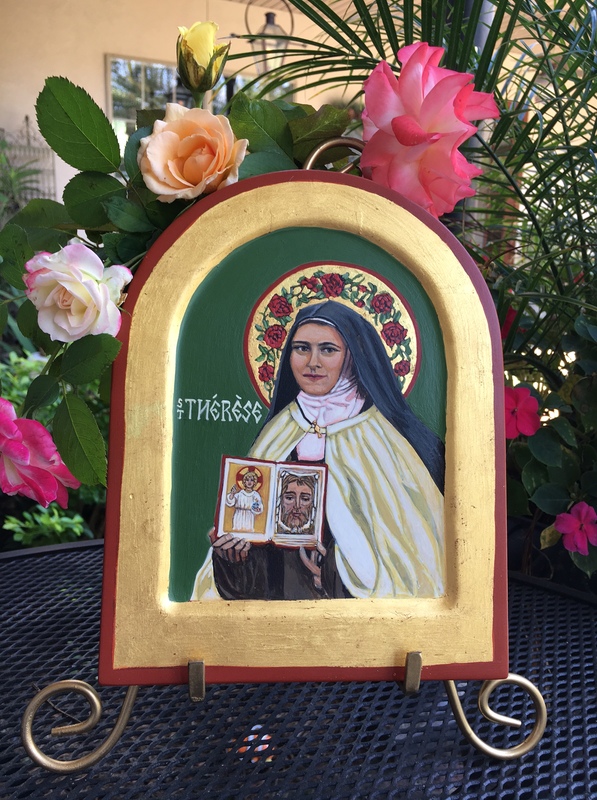 The Discalced Carmelite Nuns of Covington, Louisiana will again celebrate the solemn Feast Day of St. Therese of the Holy Face and the Child Jesus, also known as “the Little Flower,” with their annual “Mass of the Roses” on Sunday, October 1st, 2017. 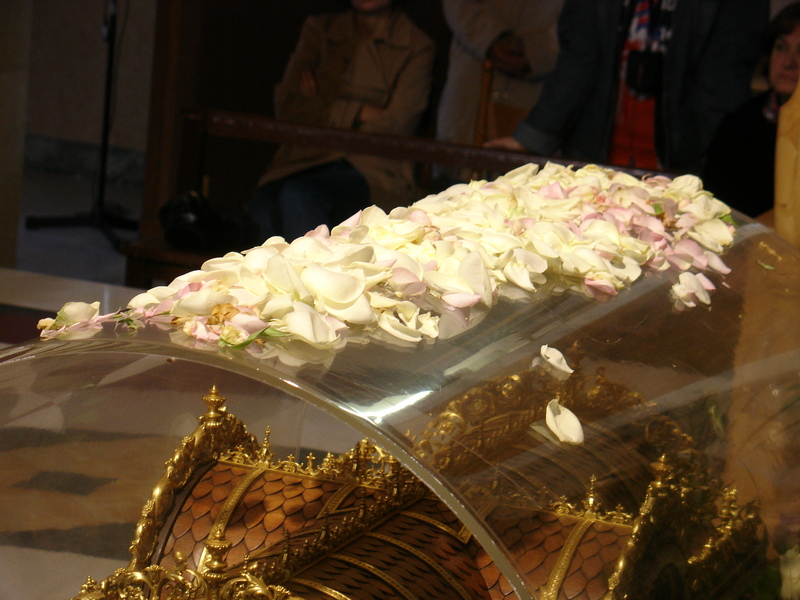 St. Therese was a French Discalced Carmelite Nun who died of tuberculosis at the age of 24. 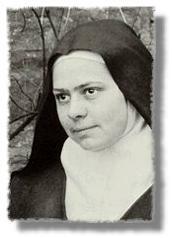 She became a Saint and Doctor of the Church, inspiring others by her “Little Way” of doing small things with great love to attain holiness. 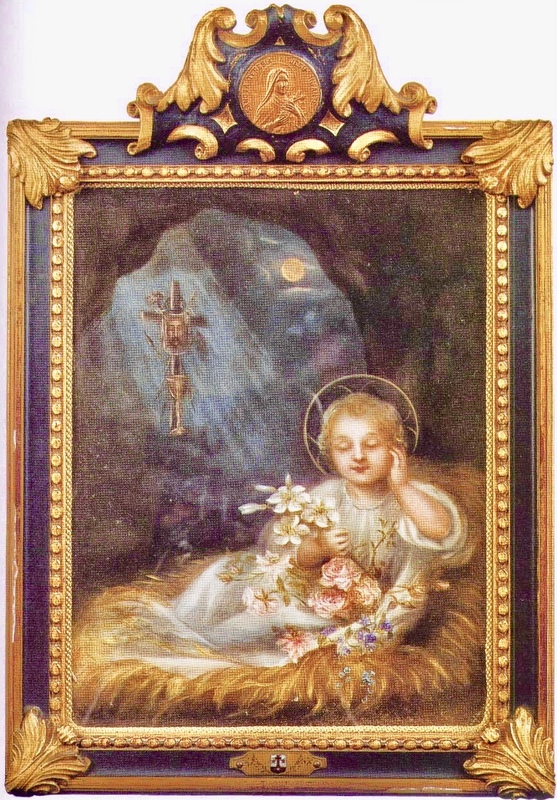 She promised that when she died “a shower of roses” would fall from Heaven in the graces obtained through her intercession. The “Mass of the Roses.” will open with a flute prelude by Sr. Grace, OCD and Patti Adams, LPO. 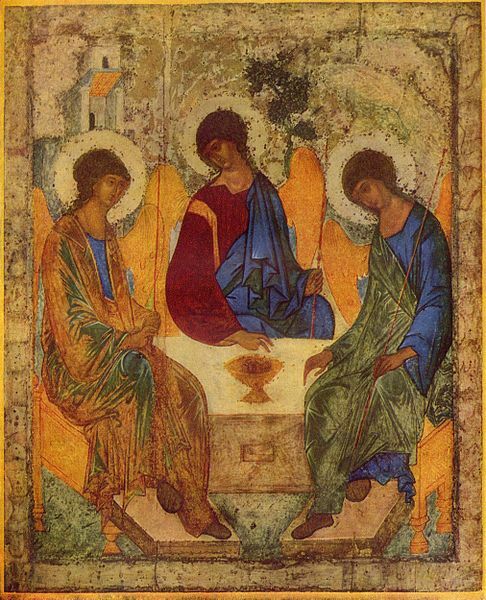 The Holy Eucharist will be celebrated at 9:30 am with Father Jorge Cabrera, OCD, as the main celebrant. 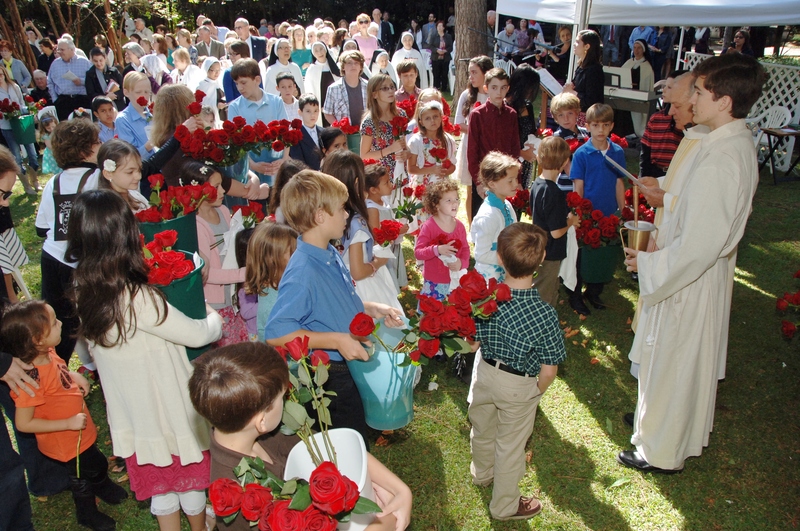 Immediately following Mass, the children are invited to join in procession, carrying roses to the altar to be blessed and distributed. Many gifts, food, and handmade items may be purchased; the proceeds will help the Carmelite nuns meet their financial needs for the year. Delicious refreshments will be served after the Mass, thanks to many gracious sponsors and volunteers. 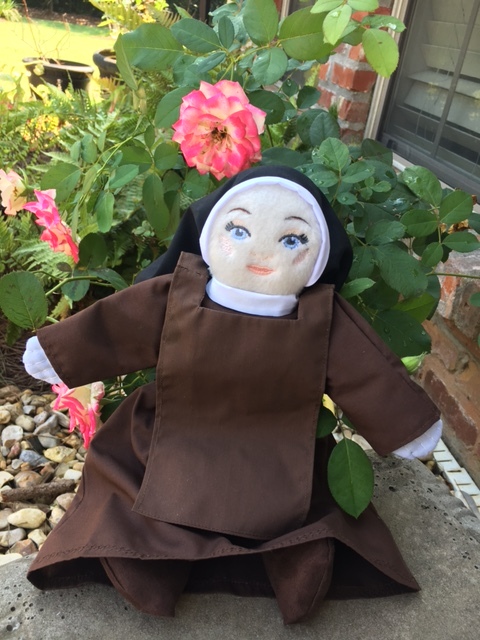 Hand-made items by the sisters, as well as cookies, pies and bread from the Sister’s kitchen will be for sale as well as a variety of religious articles, books and gifts. A children’s area will be set up for face-painting, artwork and other fun activities. A special table will also be set up for Holy Face books, Chaplets, Images and Medals. 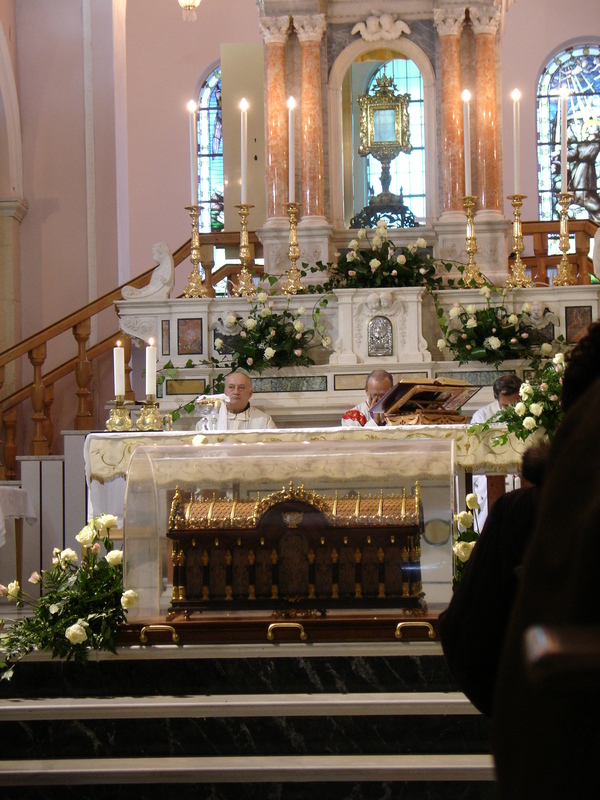 Below are some wonderful photos that journalist Paul Badde has sent of St. Therese’s relics visiting the Sanctuary Basilica of the Holy Face in Manoppello on November 4th, 2006. Mary Julia Seelaus was born August 5, 1923, the second of eight children, in Philadelphia, PA. She attended Holy Child grade school, and Little Flower High School of Fine Arts. 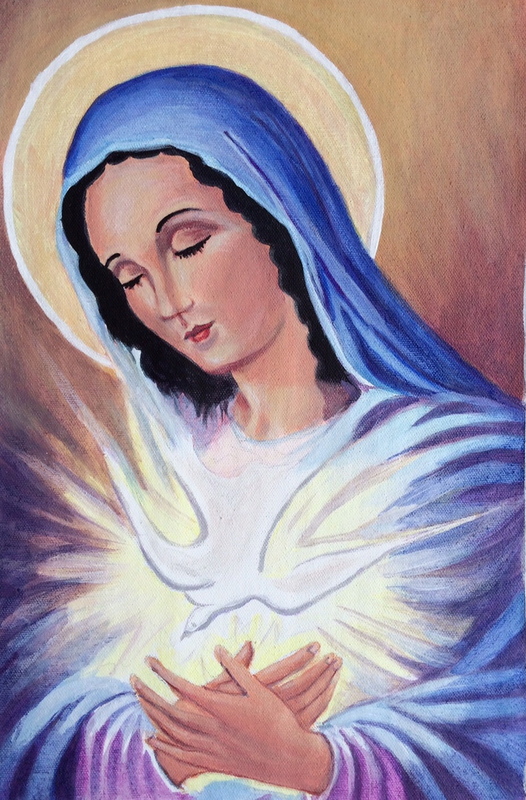 When she graduated, Mary Julia–a talented artist–was hired to do women’s fashion art displays, but a flame that was the love of God burned in her heart, and she soon formed a group of Young Christian Workers, similar to the movement in France at the time. One day, as she was riding home on the subway from her Christian Worker meeting, she heard a definite call to Carmel in her heart. 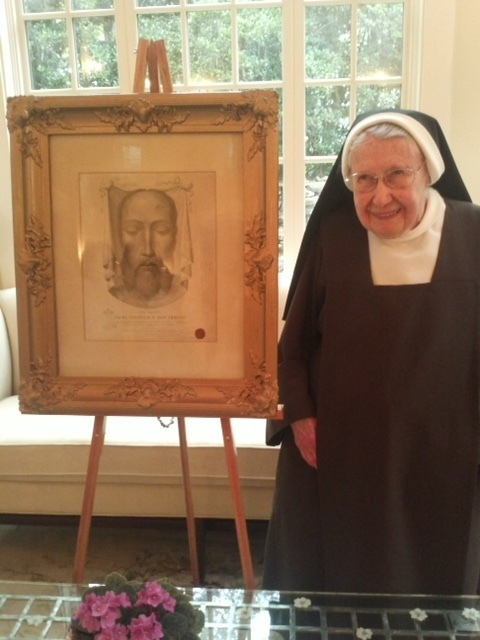 Anyone who had the great privilege of knowing this tiny, cloistered nun, knew of her great love and devotion to the Holy Face of Jesus, which she shared with everyone. 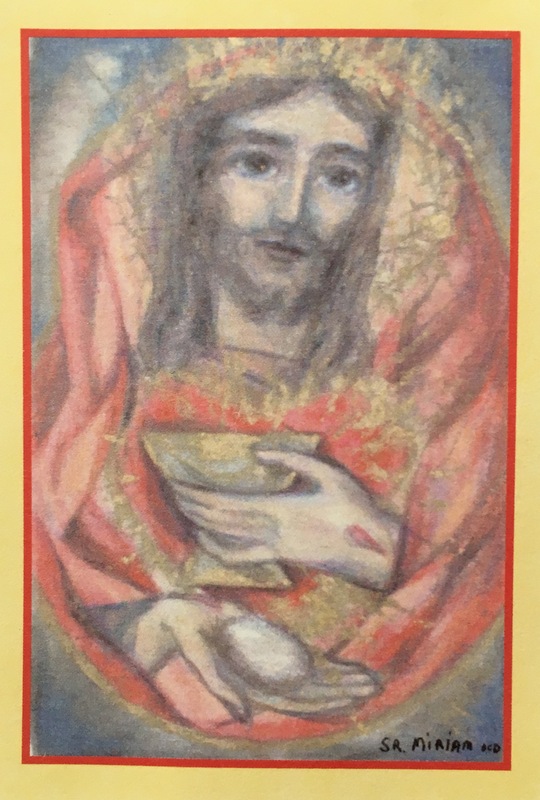 Sr. Miriam was that part of the Mystical Body who adored and loved the Face of Jesus, to make up for those souls who are indifferent to God, or even hate God. 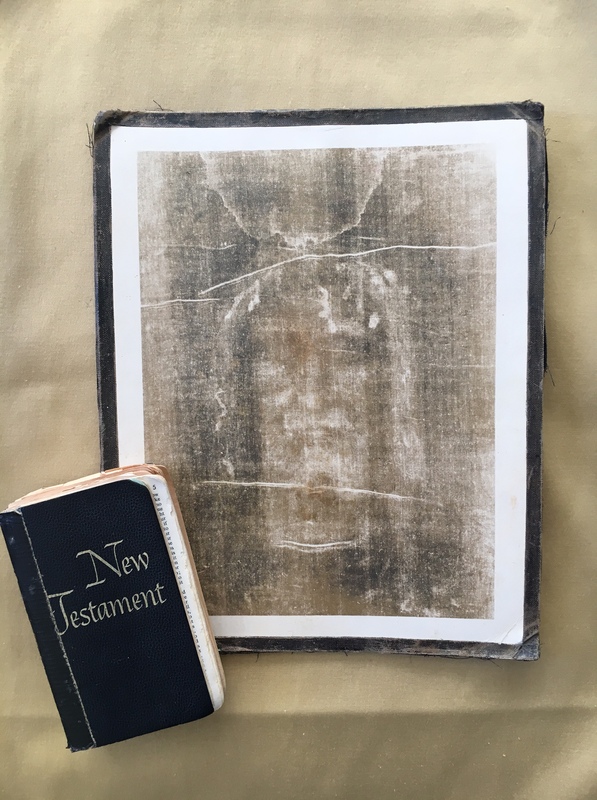 In her little New Testament, now yellowed and falling apart, St. Paul’s words to the Ephesians are doubly underlined, “God’s plan…is to bring all creation together, everything in heaven and on earth, with Christ as head.” (Eph. 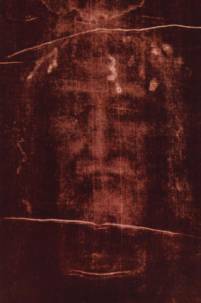 1:10) A small picture of the Shroud of Turin (glued to a piece of cardboard, with a hanger carefully cut from duct tape) which belonged to Sr. Miriam, is worn through the surface of the photo, from the top of Jesus’s forehead to His chin, by a thousand kisses bestowed on His Holy Face as evidence of her faithful love and the desire to make reparation for those who did not love Him. Before Sr. Miriam died, at the Discalced Carmelite Monastery in Covington, Louisiana, she suffered, as some holy souls do, a great darkness. 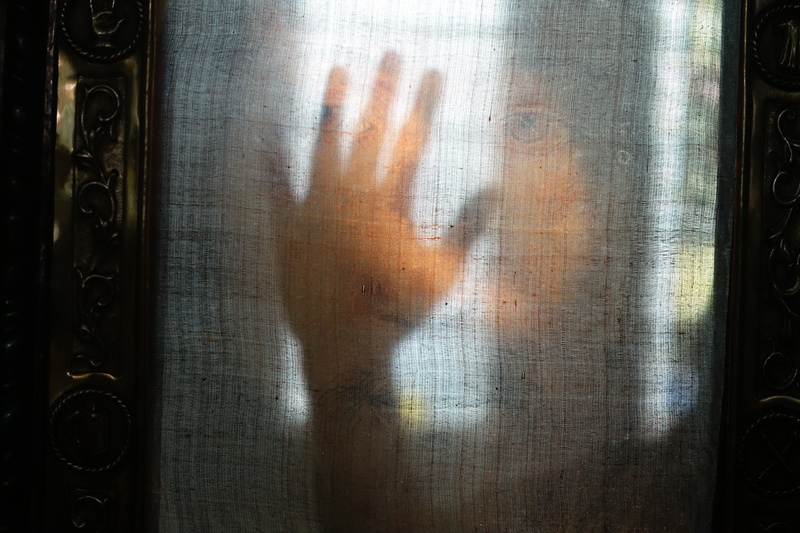 She felt that she was unworthy to even receive Holy Communion; she grew smaller and smaller, like a candle about to go out. The darkness passed and on June 27, 2017, her entrance into eternal life was a peaceful one. 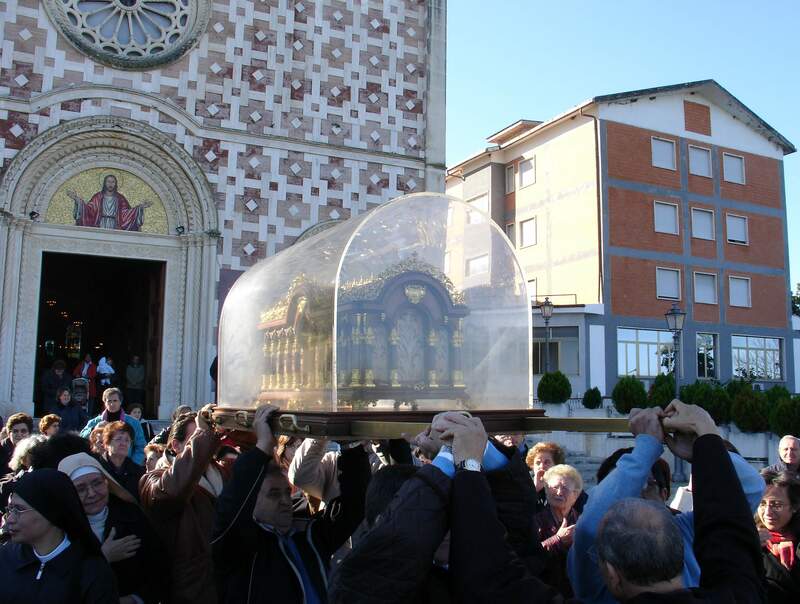 The funeral procession to her place of rest at St. Joseph’s Abbey was halted momentarily when a peacock, a symbol of the Resurrection, suddenly flew out of the woods to the middle of the road, next to the hearse which carried her precious body. The Face of Christ shone so brightly in Sr. Miriam’s soul, which remained always close to the Vine, that it cannot help but continue to bear good fruit. Sr. Miriam, pray for us! Discalced Carmelite Nun Sr. Marie St. Pierre, holding “Golden Arrow” with three circles representing the Trinity. A pure heart create for me, O God, put a steadfast spirit within me. Do not cast me away from your presence not deprive me of your Holy Spirit. 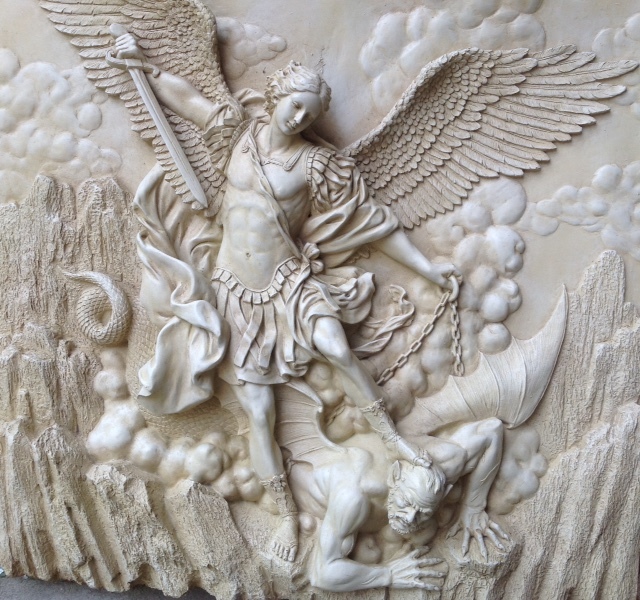 *[St. Michael, whose battle-cry is “Who is like God?” is the Patron of the Arch-Confraternity of The Holy Face, which was canonically erected in the Chapel of the Discalced Carmelite nuns of New Orleans by Archbishop Perche in 1883, the first in The United States. 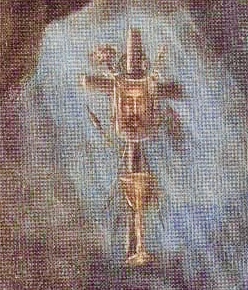 From that humble oratory, devotion to The Holy Face spread throughout the Americas. Recently, Old St. Patrick’s Catholic Church in New Orleans has commissioned an exceptional statue of St. Michael bearing a shield with the Face of Jesus “Il Volto Santo” of Manoppello. 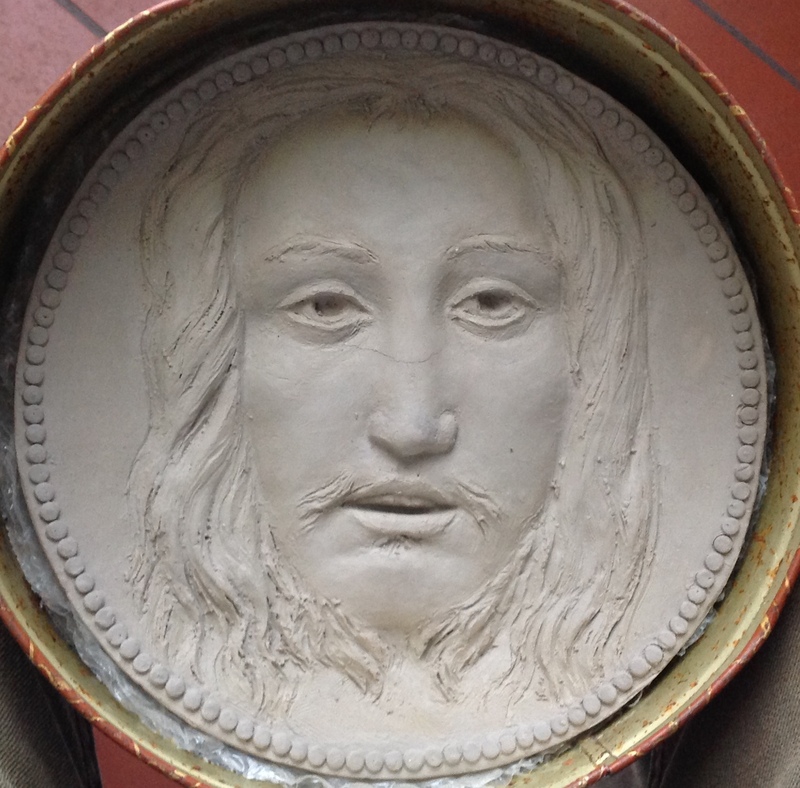 (full statue not shown) Shield bearing Volto Santo by sculptor Cody Swanson, study for St. Michael Statue.